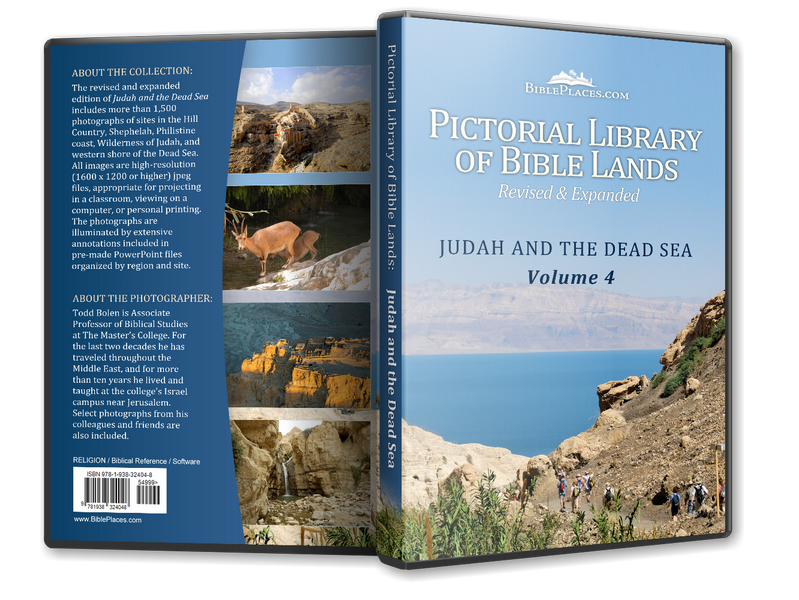 Genesis 23 records the purchase by Abraham of a plot of ground in Hebron for a burial cave for his wife Sarah. In a deal that foreshadows many such other Middle Eastern deals, Abraham paid an outrageous 400 shekels of silver to Ephron the Hittite. Later Abraham, Isaac, Rebekah, Jacob and Leah would be buried here. 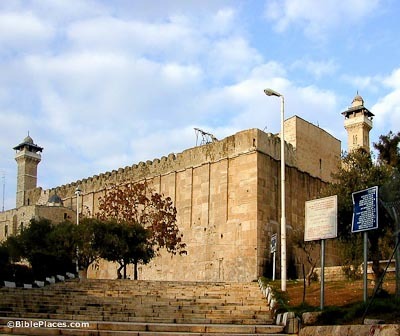 Herod the Great constructed a large edifice atop the traditional burial place of the patriarchs. 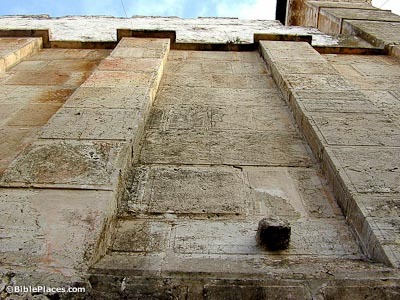 Its architectural style is similar to that of Jerusalem’s Temple Mount, including the size of the stones (up to 24 feet long), the type of masonry (dry), and the pilasters (engaged columns), the last of which are no longer visible in Jerusalem. The cenotaphs of Abraham and Sarah were added after the city moved to surround this complex in 8th century AD. All the cenotaphs were in their present position by the 10th century AD. The Mamluks gave the cenotaphs of Jacob and Leah their present form in the 14th century. Three major rooms make up the Machpelah. In the center are Abraham and Sarah. On the east side are Isaac and Rebekah; the Jewish people are allowed to visit here only ten days a year. On the west side are the cenotaphs of Jacob and Leah. Rachel was buried near Bethlehem. 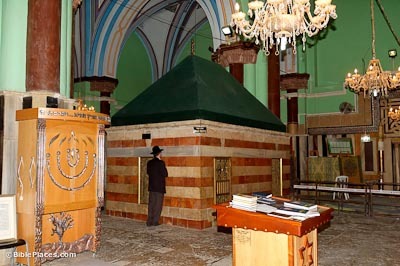 The pulpit (minbar) was made in 1091 for a mosque in Ashkelon and donated by Saladin in 1191. Ownership of the Machpelah has changed with each conquering army. 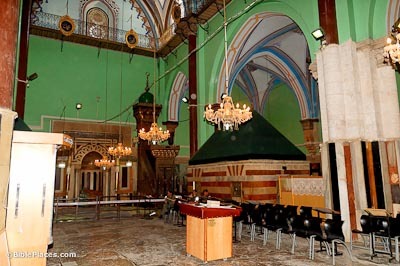 The Byzantines converted it into a church before the Muslims conquered and made it a mosque. The Crusaders and Mamluks then made it a church and a mosque again, respectively. 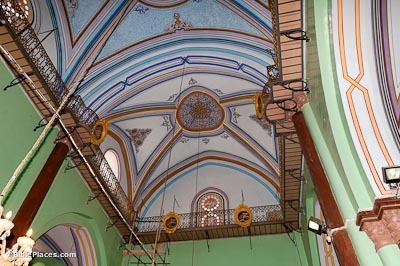 The interior of the compound was originally not roofed; the ceiling is the work of Crusader artisans.